Volunteering through civil rights groups is one of the best ways to help support civil rights campaigns and organisations. 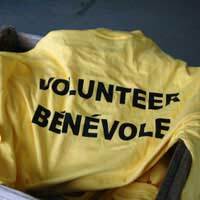 Volunteering can include a number of different roles from administrative support to raising funds. Civil rights organisations could not exist without the support and dedication of their volunteers. Volunteering is an excellent way to become involved not only in campaigns but in the day to day running of civil rights organisations. Helping out in civil rights offices is an excellent way to gain first hand civil rights experience. This can provide invaluable experience for anyone considering a career in this field. Many civil and human rights organisations such as Amnesty International are always looking for volunteers to help in a variety of ways. Volunteers can choose to work in national or regional offices, and in some cases expenses can be claimed. What Is Expected of Civil Rights Volunteers? There are a number of different ways that volunteers can help out in civil rights organisations. The volunteering roles are varied and can include general administrative duties and helping with campaigns through marketing and media. Volunteering can also be undertaken outside of the actual organisation offices through activities such as lobbying MPs on civil rights issues. Running workshops and speaking on behalf of the organisations at local groups are also undertaken by dedicated volunteers. Civil rights groups are also always looking for volunteers to start local groups within communities and universities and colleges. A number of life long valuable skills can be gained through volunteering. Not only will these volunteering roles provide first hand experience in human and civil rights but also work skills that can apply within a variety of jobs. Volunteers can learn computer literacy skills, dealing with the public, letter writing, interviewing techniques and office administration skills. Team working skills are another valuable job skill that can be gained through volunteering. Commitment to the civil rights organisation is expected. Some civil rights organisations do expect volunteers to commit for a certain period of time; this could be one day per week for up to three months. But most organisations are flexible and local groups will not have the same commitment requirements as large organisations such as Amnesty International. People who can commit a set amount of time can apply for volunteering vacancies that are placed on civil rights websites. Organisations such as Amnesty and Liberty will advertise these vacancies. Those with qualifications such as law degrees are highly sought after by civil rights organisations. Those who do have legal qualifications are always needed to answer questions from the public on human and civil rights issues. This type of volunteering work can be undertaken in the civil rights offices or via the internet. This is an excellent volunteering opportunity for law graduates to gain actual first hand, legal civil and human rights experience. Contacting organisations such as Amnesty and Liberty with a CV will be the first step for those who are interested in this type of volunteering. Civil rights volunteering does involve some form of commitment but it is a worthwhile and life changing experience. Volunteering can make a very real impact on civil rights issues, helping to change government policy at home and around the world. Anyone who is interested in civil rights volunteer roles can find more information on the Amnesty or Liberty organisation websites.